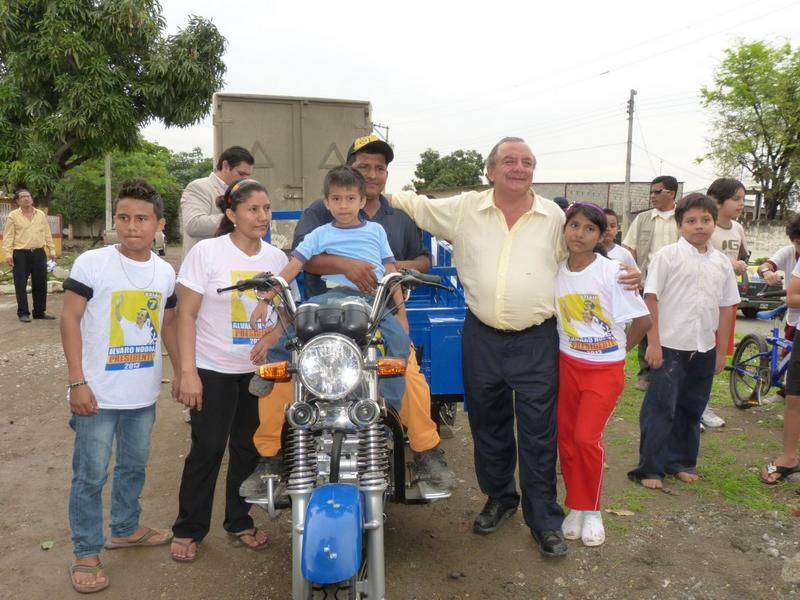 The President of the New Humanity Crusade Foundation continues supporting people of low economic resources with equipment and materials that will allow them to set up their own businesses. 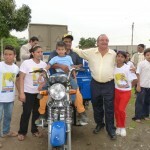 In Guayaquil, in the town of Martha de Roldós, Álvaro Noboa donated a delivery bike to Jorge Santos. 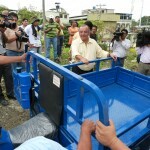 Upon thanking attorney Noboa, Jorge Santos stated that his dreams had become a reality. 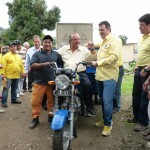 Ecuadorians, we are here in Martha de Roldós, together with my nephew Luis Noboa Icaza, candidate for the Assembly for this district, and with my friend, Jorhge Santos, to whom we are going to bring, in the name of the New Humanity Crusade, this delivery bike so that he will have it as a work tool in order to transport water, gas and other articles. 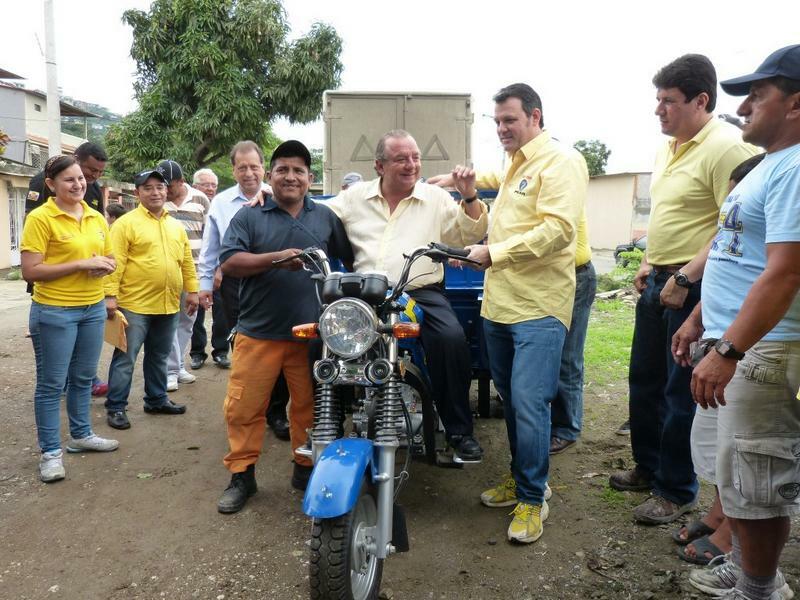 With this bike, he will have employment. Besides that, I would like to tell Ecuadorians what my position on the gas pipeline is: When I will be President – and I will be – we are going to change the route of the gas pipeline and remove it from this zone where it puts several poor neighborhoods in danger. I have to defend the poor in everything and in regards to the gas pipeline. I am on the side of the poor! Thank you very much! 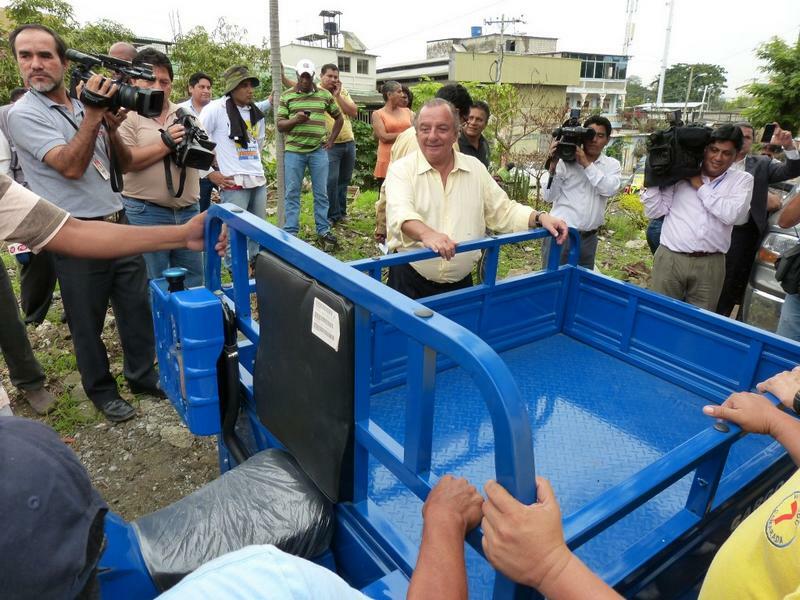 Jorge Santos: I thank attorney Álvaro Noboa as I really needed this work tool because I sell gas and I have always dreamed of having it, and now I have had the luck of being given it, thanks to the Foundation.